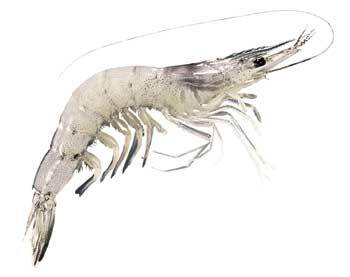 School prawns have very few or no hairy patches on their body and the telson has 4 pairs of conspicuous mobile spines. Males bear a notch near the tip of the fifth walking leg. Their colour is translucent with irregular brown or green spots (especially those living in estuaries) and the antennae are brown. School prawns are endemic to waters off the east coast of Australia. Postlarval to adolescent school prawns inhabit estuaries. Adult school prawns can also be found in estuaries but are found predominantly in oceanic waters. Juvenile school prawns prefer to live in seagrass areas within estuaries, although they are also present on bare substrates of fine to moderately coarse sand. Adult school prawns are most abundant in turbid marine waters arising from estuarine discharge after heavy rainfall or river floods. School prawns spawn between February and May in the sea off New South Wales in waters of about 40-55 metres depth. School prawns live for about 12-18 months. Research has shown that they may be migratory, moving along the coast in a northerly direction. The longest recorded migrations by these prawns is 120km. However most individuals stay within approximately 70km of the estuary from which they migrated. School prawns are harvested commercially on grounds in offshore waters by demersal otter trawling, carried out predominantly during the day. They are also caught by various other methods, including beam trawling, set pocket netting, hauling and seining or with running nets or dingo rigs. 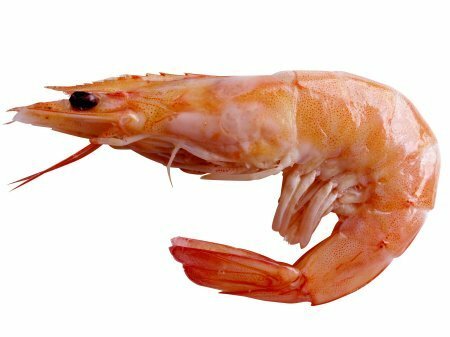 The possibility of farming school prawns has been investigated and school prawns have been cultured in northern New South Wales for a number of years. Did You Know? Metapenaeus macleayi is by far the most common species of school prawn in Australia. School prawns are harvested commercially on grounds in offshore waters by demersal otter trawling, carried out predominantly during the day. They are also caught by various other methods, including beam trawling, set pocket netting, hauling and seining or with running nets or dingo rigs. School and Eastern king prawns prawns are endemic to estuarine and coastal waters along the east coast of Australia. Juvenile prawns of both species inhabit estuaries, generally near seagrass beds. Adults are predominantly found in ocean waters, but may occur in estuaries. Buyers and Sellers of Prawns and Shrimp are listed. Suppliers of School Prawns, Australian Government Fisheries Statistics, NSW Department of Primary Industries Fishing and Aquaculture, Common recreational saltwater fish and seafood, Sea-Ex Trade Seafood Commercial Fishery Directory suppliers and buyers of prawns and shrimp, other types of prawns information and photo links.